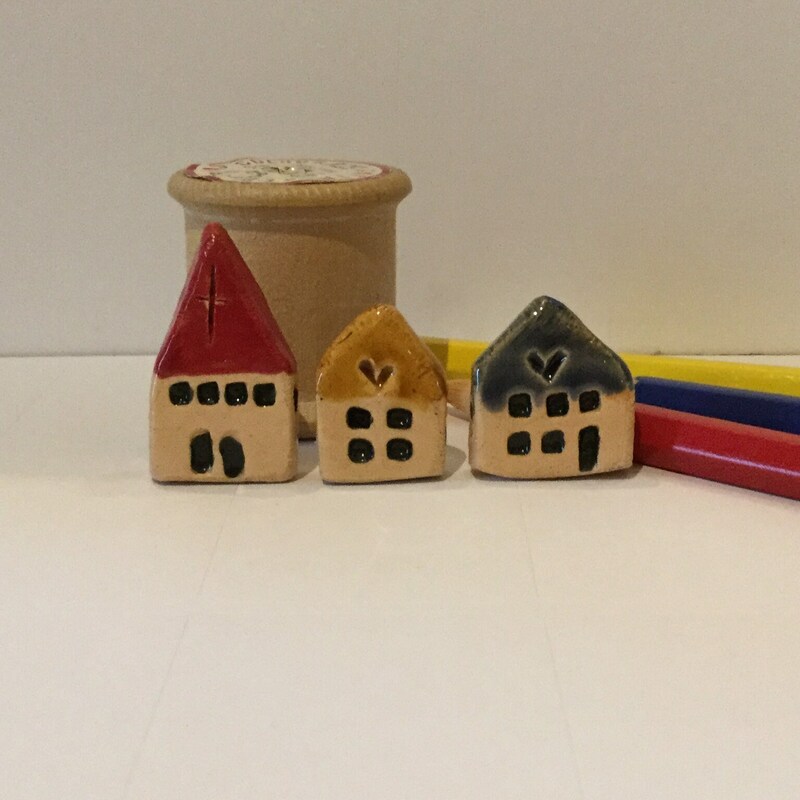 Set of 3 tiny ceramic houses. Handmade, handglazed, House, home, colour, house-warming, gift. 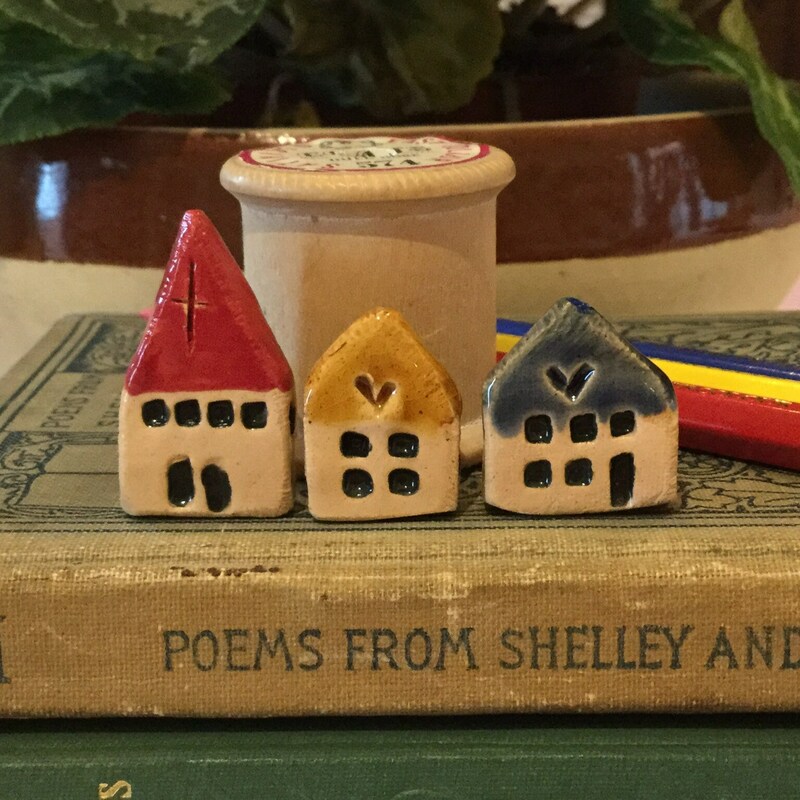 Gorgeous set of three ceramic houses. Different sizes, different coloured roofs, different window arrangements. Bright, colourful and seriously cute. Make a street or a whole town! 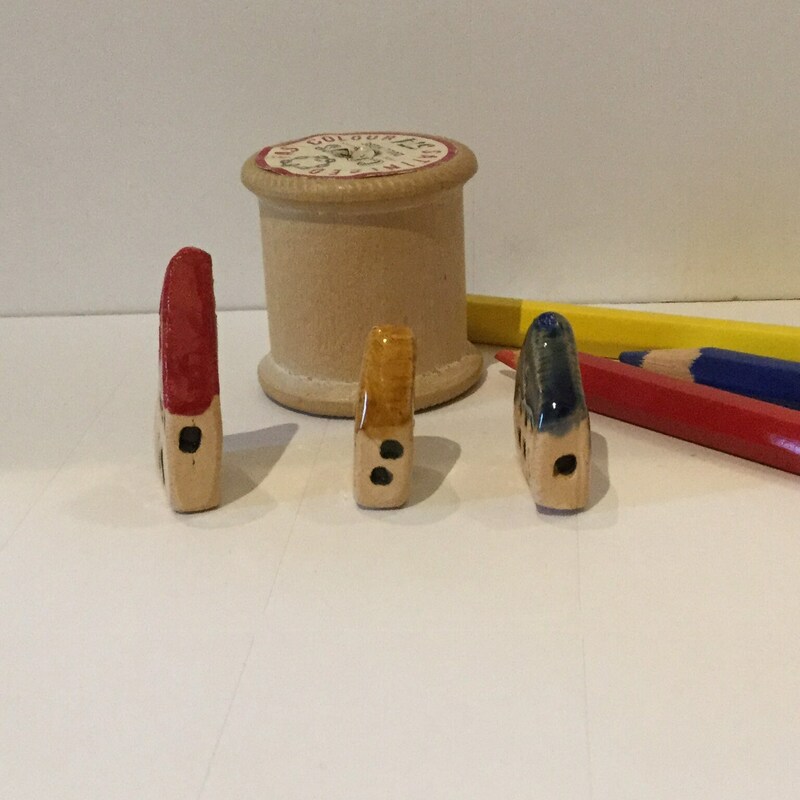 Measurements: Approximately 3cm tall ones, and 2cm shorter ones. They are only 6mm thick, so NOT block shaped. Fairly narrow, but they stand up ok. See pictures. Each is individually shaped, marked, and glazed by hand. 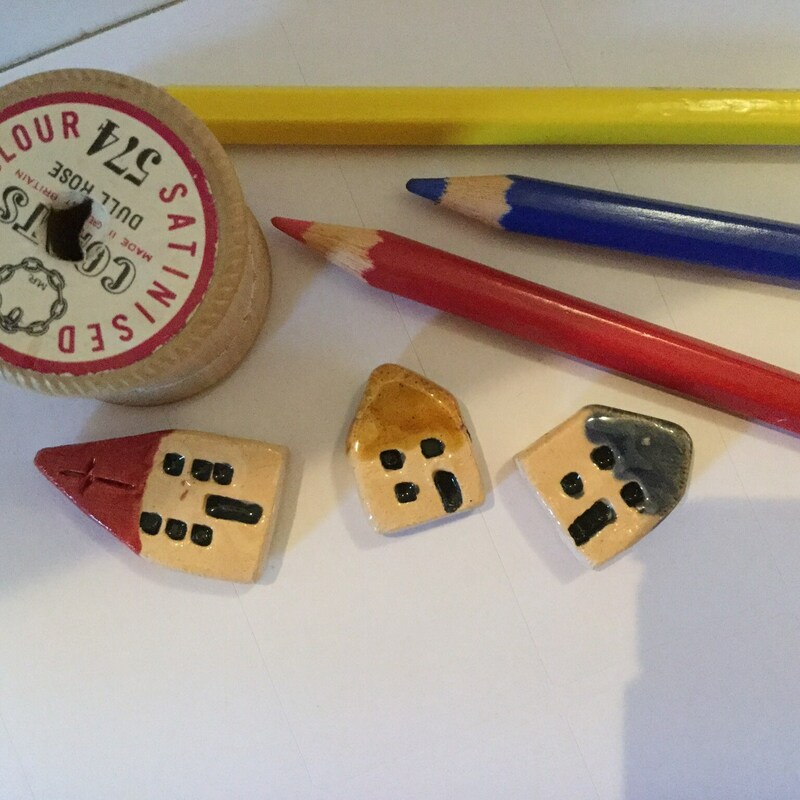 Made from earthenware clay, once dried out, they are bisque fired in my kiln and then I apply the coloured glazes. They then need to be fired a second time. Perfect as a small treat for yourself, or as a house-warming gift. 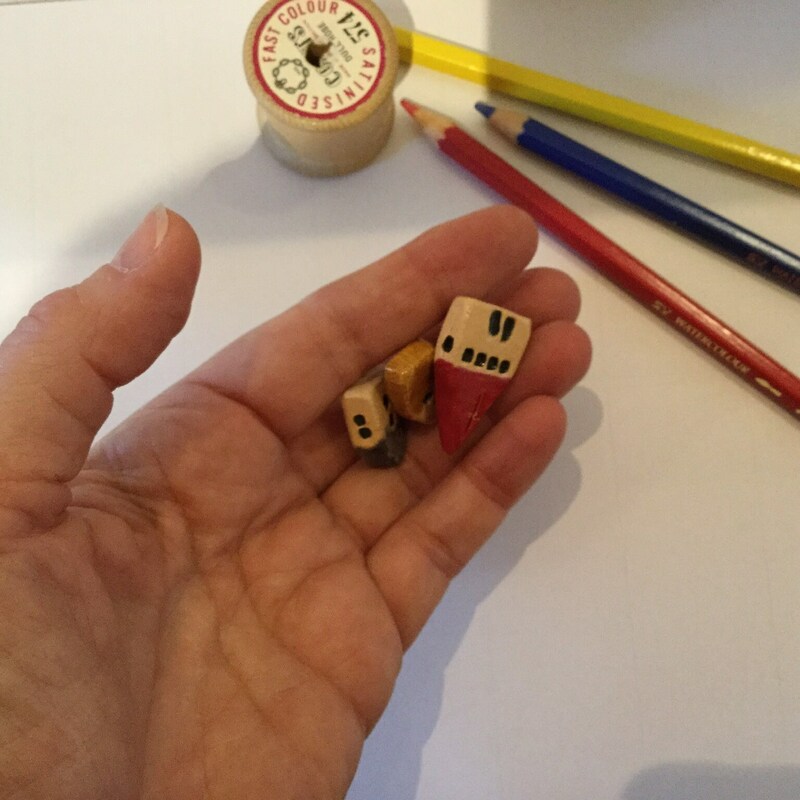 Adorable little houses - they remind of the wooden playsets we had as children. Everything came beautifully packaged, and arrived safely in very good time.